This is the O.S. Engines Glow Plug Caddy. 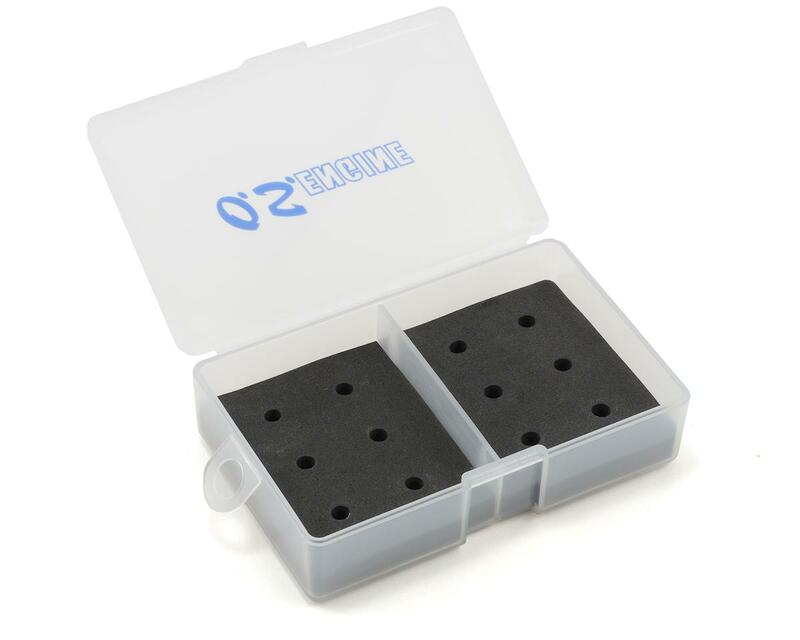 This small plastic container is perfect for transportation and storage of your valuable glow plugs! This case features slots for twelve individual glow plugs, and are separated by a divider in the center with six slots per side. I have no issues with plugs rolling around. Just make sure you press down firmly when putting the plugs in, and they will sit there until you take them out. I have 2 of these and both work great for me. 4 customers found this review helpful. This is a great glow plug caddy!! The outer case is made a very tough flexible plastic. The inner stiff foam lining that holds the glow plugs provides shock protection and when the glow plugs are inserted properly the stay in place and do not roll around in the container. I would recommend this product to a fellow racer!! Great box, great price. Holds the plugs in nicely. Really nice way to organize your sapre plugs. All my plugs fit perfect and snug. not worth it, plugs roll around inside. may as well just keep the plugs in the original packaging. O.S. No.7 Short Body Standard Glow Plug "Medium Hot"